I am honored to have worked with these Brides, Event Planners, Photographers and Hairdressers. Their kind words mean the world to me and wanted to share them with you! I take so much pride in working well with other vendors and of course brides. I love what I do and when someone takes the time to write a review like these...I am #blessed!! Heather Coopersmith is such a special make up artist. She spent a lot of time talking with me, asking me questions about the event, what I was wearing, and the personality I wanted to project before she even touched my face. When she was applying make up, she was very patient and kindly instructed me how to look up and down as needed, Anyone who cares about looking their best for the camera or just for any reason will be in very capable hands with Heather. Heather is the best!! I tried two other make up artists before I finally found Heather - and I'm so grateful I found her! She perfected the look I was going for and is a delight to be around. Heather is the best! Her talent with makeup is unreal! My wedding makeup was perfection!!! Heather is the absolute BEST!!! She had done many of my friends wedding make up, so I booked her right away! Heather came to my house to do the makeup trial and it was PERFECT! I didn't have any changes for her to make :) She has a way of enhancing your features that look beautiful in person as well as in photos. I felt glamorous, but I still looked like me! Heather was extremely responsive via phone calls, texts and emails. All of my friends and family loved her and her work. She is so fun to work with and made getting ready for my big day a breeze! Thank you Heather for everything!!! Heather is a FANTASTIC makeup artist. I've been on a couple big jobs with her now and its clear that she is SKILLED at her craft. She is also very professional and is quick to respond on any email communication. BOOK HER if you can! You wont regret it! Heather did my wedding makeup, and that of our bridal party, and we couldn't have been more pleased. She was incredible -- super organized, professional, fun, adaptable and talented. Plus, she made everyone look gorgeous! Heather also listened and made the changes I wanted from the trial to the wedding day. The best thing I did was have her stay all day for touch ups during the hot, outdoor photo session and after the ceremony. If you want flawless makeup from a real pro, look no further and book Makeup the Bride immediately. People don't give makeup artists enough credit as it is, but I was truly in crisis when I woke up two days before my wedding with a blemish on my face the size of the asteroid from Armageddon. I emailed Heather Coopersmith and let her know that our makeup plan was out the window and that she would be pretty much winging it, also that the sky was falling. Heather with her kindness, humor and grace, held me up, made me beautiful and gave me the confidence to have to the best day of my life. Can't thank you enough! 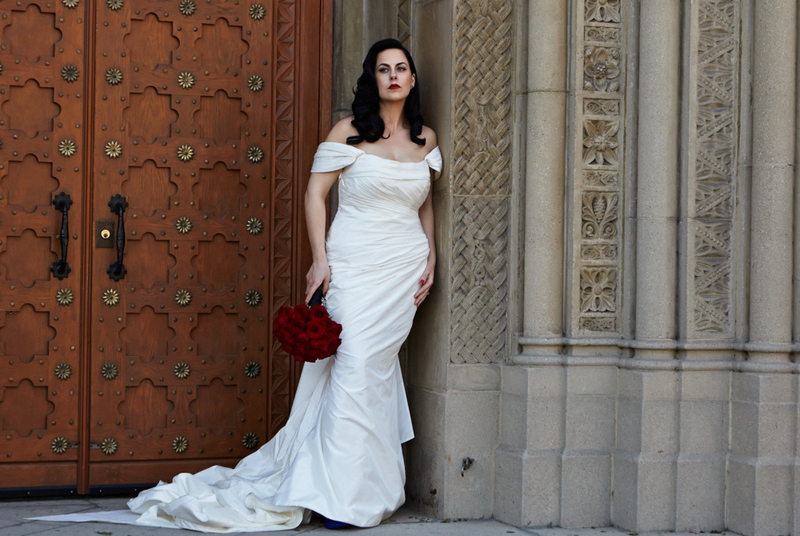 I have worked with Heather coopersmith of Makeup the Bride for over 7 years now! Not only does she have a great personality and heart, she is an Uber talented makeup artist! I have seen her work her magic on many faces of different ages and nationalities! It's been an honor to work with her in the past and I always look to doing weddings together! I highly recommend her for any makeup services!